Suitable for braising, cooking with liquid, reducing sauces and even some large batch cooking, the Tradition Sauté Pan by Berndes is quite handy. Hailing from the French word “sauter” which means “to jump”, the term saute means to “jump or quickly toss” food around the pan, typically with a bit of added oil. 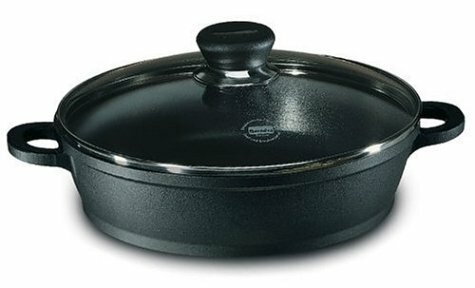 The Tradition Sauté Pan by Berndes is most widely used for sautéing. 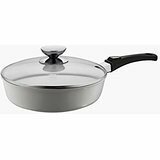 This cookware is heavily coated with a triple layer and exterior with a double layer of DuPont "Autograph 2 Gourmet Non-Stick" for fat-free cooking. Roast, bake, broil and braise meats, root vegetables and more. It is also energy efficient with the Berndes CD bottom technology with a classy wood handle making sure of the winning capability of this cooking masterpiece. Since 1921, Berndes cookware has been made in Germany, carrying forward the same renowned German quality into the present day. Bring your dream of healthy and guilt-free living to life with the help of Berndes 697344 SignoCast Classic Sauté Pan with Lid, 10-Inch. 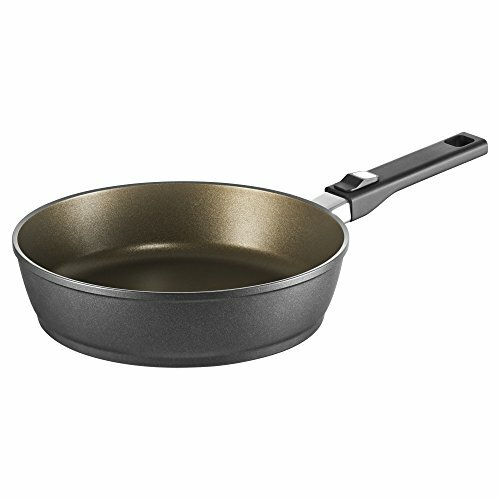 The pan requires less to no oil at all when cooking, giving you a fatless outcome. With the pan’s taller sides, it is surely ideal for cooking with liquids without getting stuff spilled over. It can cook up to 4 quarts in volume. 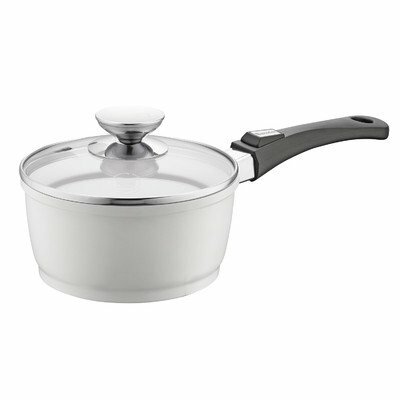 Perfect as a housewarming present or an addition to your sleek cookware collection. 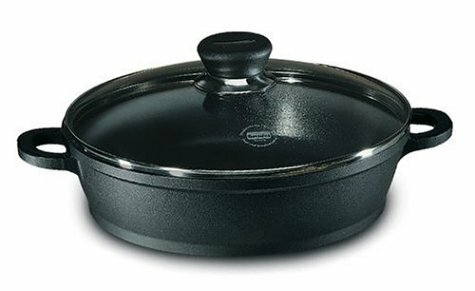 Dimensions: Sauté Casserole Pan - 9.5 inches Diameter, can hold up to 2.5 quarts in Volume; Glass Lid - 10 inches DiameterWith Limited Lifetime Household WarrantyMade in GermanyDishwasher safe, handwashing recommendedCompatible with most cooktops except inductionLook forward to an endless cooking adventure with Berndes Tradition Sauté Casserole Pan. This cookware surely encourages you to improve your skills exercise your creative mind with unlimited series of experimental cooking. With its impressively solid structure, the pan can handle any type of cooking at any heating point, and never ever break down. This pan is one of the classic essentials that you really need to get your hands on. 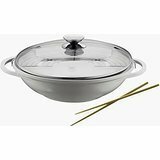 It is perfect for making gravy and sauces, pastas, meat and vegetable combo dishes, and so much more. Coated with premium non-stick base, this cooking pan is safe from chips and scratches and very resistant to wear and tear. Cleanup is ensured to be a total breeze. 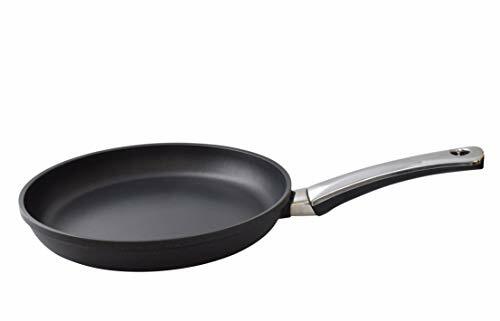 Enjoy frying your favorite meals with ease and efficiency with the Berndes 697228 SignoCast Non-Stick 11.5 Inch Fry Pan. Made in Germany and ergonomically designed, this is made from 6mm of reinforced aluminum base thickness formed through vacuum casing and will not warp. This fine cookware also is oven safe up to 300 degrees F and dishwasher safe. This ceramic-coated utensil has no PFOA and is energy efficient with the Berndes CD bottom. The seamless look with the full functionality makes this truly a nice addition to any kitchen. Berndes Tradition Induction Sauté Pans feature high sides and large surface area, ideal for braising, searing, and simmering. The nonstick surface is ideal for cooking with little or no oil. Berndes Tradition Induction cookware is made from vacuum cast aluminum for even heat distribution. 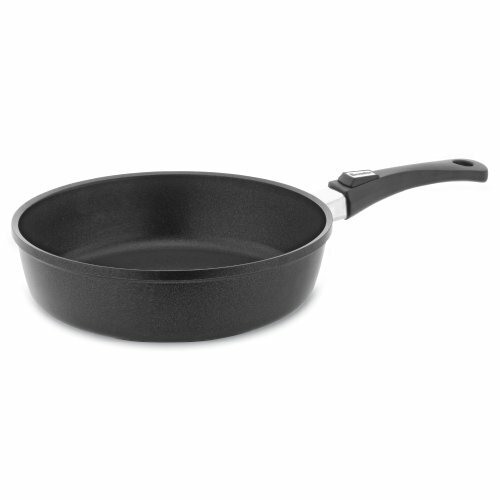 The triple-layer nonstick coating is PFOA-free, and a 6mm base makes this cookware induction compatible. The handle is made from Sauerland ash wood, and a molded helper handle offers balance and stability. Berndes Tradition Induction cookware is induction compatible, oven safe to 300F, and should be washed by hand. Made in Europe. 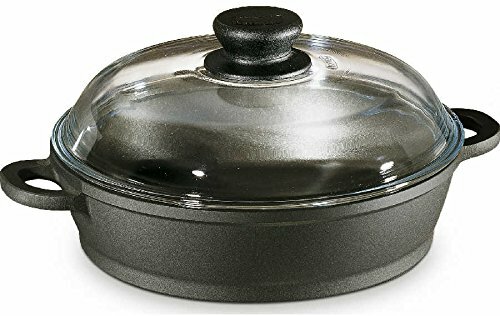 Bring the ease of preparing comfort foods into your kitchen using the Berndes 674026 Tradition Dutch Oven with High Dome Cover Lid, 4.5 Quartz. Ideal for stewing, roasting, braising, as it slowly cooks to perfection. Effortlessly bake casseroles, lasagnas and your favorite comfort foods with the Tradition Dutch Oven - perfect for popular one-pot meals for busy lifestyles. Made of vacuum-pressure cast aluminum which is superior to stamp in both shape and thickness compared to others. The nonstick surface is designed never to chip, crack, blister, bubble or peel. The skillet has ergonomically designed bakelite handles which facilitate safe and easy transporting of pans. It features a 3-layer nonstick interior and 2-layer nonstick exterior surface which protects foods from sticking and burning so your food will always taste fresh. With the Berndes CD bottom rest assured that it is energy efficient. It also promotes fat-free cooking - can cook without the addition of oil, fat or sprays! As health is always a priority this skillet has no PFOA content. Since 1921, Berndes cookware has been made in Germany, carrying forward the same renowned German quality into the present day. Your kitchen can use the seamless appearance of the Berndes 697545 SignoCast Non Stick Casserole with lid. 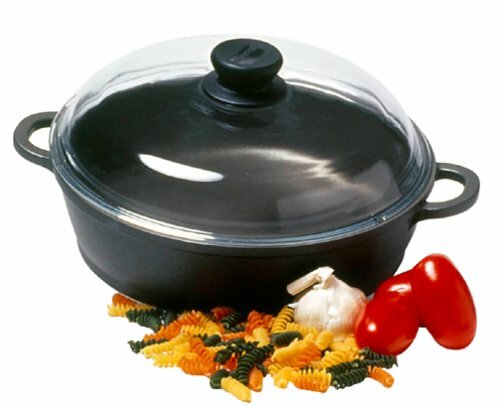 This cast aluminum casserole/sauteuse is created using vacuum pressure casting that forms a solid cavity for the perfect cooking vessel inside and outside. The three-layer non-stick interior and two-layer non-stick exterior protects food from sticking and burning. The SignoCast line exceptionally easy to clean and facilitates fat-free cooking. The perfectly flat base is sure to never warp. Made in Germany, this fine crafted utensil can withstand up to 300 degrees F and can be used from your favorite oven. This is truly a welcome addition to any kitchen. Enjoy preparing all your favorite recipes, from breakfast favorites to dinner entrees with ease! 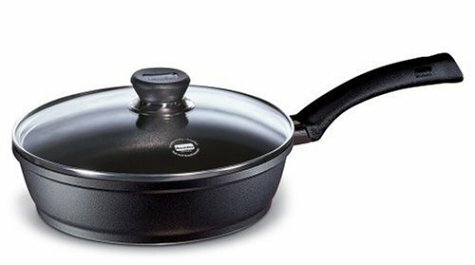 The Berndes 697640 SignoCast Classic 3-Quart Non-Stick Sauté Pan with Lid, 8.5 Inches is made of vacuum-pressure cast aluminum which is superior to stamp in both shape and thickness. The SignoCast is will never to warp; and the nonstick surface is designed never to chip, crack, blister, bubble or peel. The skillet has ergonomically designed bakelite handles which facilitate safe and easy transporting of pans. It features a 3-layer nonstick interior and 2-layer nonstick exterior surface which protects foods from sticking and burning so your food will always taste fresh. With the Berndes CD bottom rest assured that it is energy efficient. It also promotes fat-free cooking - can cook without the addition of oil, fat or sprays! As health is always a priority this skillet has no PFOA content. 632128 Features: -Material: High quality cast aluminum. -Cadmium free. -Molded side and removable handles. 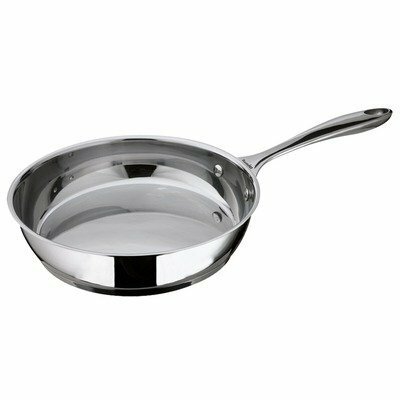 Product Type: -Saute Pan. Color: -Black, White. Hardware Finish: -Stainless Steel. Material: -Aluminum. Multi-ply Base Core Material: -Stainless Steel. Hardware Material: -Stainless Steel. Number of Items Included: -2. Pieces Included: -Saute Pan, Lid. Material Details: -High Quality Cast Aluminum. Dimensions: Overall Height - Top to Bottom: -4". Overall Width - Side to Side: -12.5". Overall Depth - Front to Back: -12". Overall Product Weight: -6.5 lbs. Dimensions: 10 inches diameter, can hold up to 2.5 quarts in volumeMade in GermanyBerndes Vario Click Induction Plus Non-Stick Sauté Pan is the perfect addition to your cookware essentials. 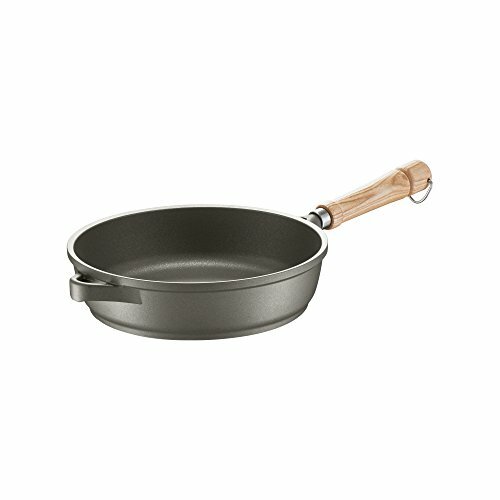 This sauté pan is not solely intended for sautéing but also for various kinds of cooking such as pan frying, braising, stewing, and reducing sauces. 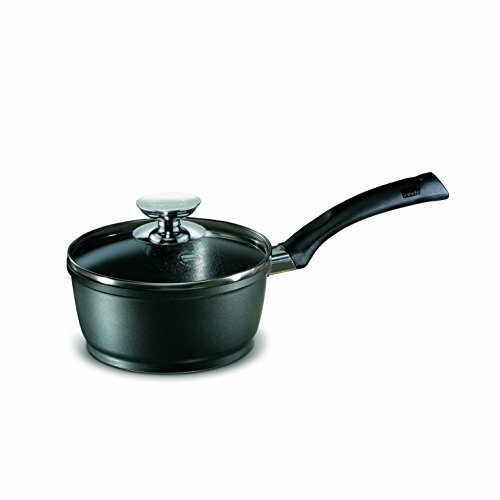 This pan is quite versatile; it fits all kinds of cooktops, may it be induction, electric, or gas. 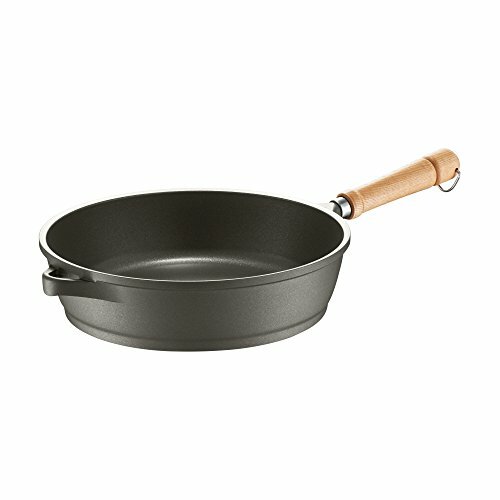 Cooking on this pan can surely keep up with your healthy lifestyle, as it requires minimal to no amount of oil at all. With the help of the non-stick coating, you can clean this pan up even with just a wipe of a tissue. Safe for dishwasher too.Made through the careful process of vacuum casting, this non-stick sauté pan is surely one that lasts a lifetime; you could definitely pass it on to your next generation. European styling and design. Ergonomically designed Phenolic handles. Tempered glass lids with Stainless Steel rim, knob and finger guard (glass 4mm thick). Heats evenly and quickly. Commercial grade non-stick coating. Oven safe to 375 degrees. Easy clean up. Vacuum cast aluminum body is energy efficient, will not warp. 695391 Size: 6-qt. 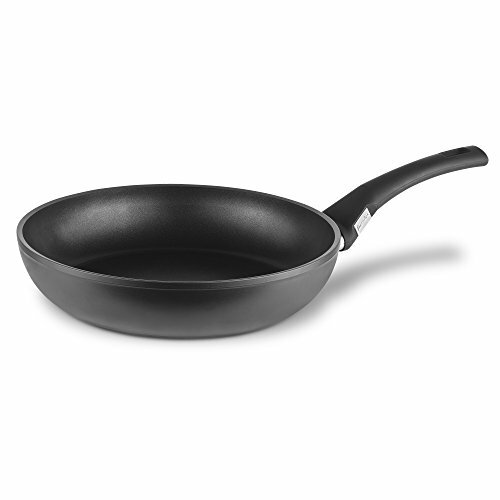 Features: Product Type: -Saute Pan. Color: -Black. Material: -Aluminum. Multi-ply Base Core Material: -Aluminum. Number of Items Included: -2. Pieces Included: -Saute Pan with Lid. -Vacuum-pressure cast aluminum. -3-layer nonstick interior and 2-layer nonstick exterior surfaces protect foods from sticking and burning. -Wooden or plastic utensils are recommended. Dimensions: Size 4.5-qt. - Overall Height - Top to Bottom: -5.8". Size 4.5-qt. - Overall Width - Side to Side: -12". Size 4.5-qt. - Overall Depth - Front to Back: -21". Size 6-qt. - Overall Height - Top to Bottom: -5.5". Size 6-qt. - Overall Width - Side to Side: -13.5". Size 6-qt. - Overall Depth - Front to Back: -21". Berndes Vario Click 5 qt. Pearl Induction Wok, 12.5"
632139 Features: -Vario Click collection. -Aluminum material. -Comes with lid. Color: -White. Product Type: -Wok. Non-Stick: -Yes. Lid Included: -Yes. Number of Items Included: -5. Primary Material: -Aluminum. Dimensions: Diameter: -13.5". Overall Height - Top to Bottom: -5.5". Overall Width - Side to Side: -22.5". Overall Depth - Front to Back: -11". Overall Product Weight: -8.5 lbs. 632151 Features: -Vario Click collection. -Stainless steel hardware finish. -Comes with lid. -1.25 Quarts capacity . Color: -Black, Silver. Material: -Aluminum. Number of Items Included: -2. Material Details: -Cast Aluminum. Base Material Details: -Stainless Steel. Dimensions: Overall Height - Top to Bottom: -5.5". Overall Width - Side to Side: -7". Overall Depth - Front to Back: -16.3". Overall Product Weight: -3.55 lbs.